Tom Anderson is one of the most recognized leaders in the world of luxury real estate today. Tom was among the founding members of Sotheby's International Realty when the famed Auction House had the ingenious idea to marry art collecting and the sale of property. Over the next 23 years Tom helped build the world renown luxury real estate brand, holding a variety of corporate posts at HQ's in New York, rising to the position of Executive Vice President. Tom chose to leave Sotheby's International Realty in 2004 when the auction house very successfully sold off its real estate arm. Having been a co-founder of Washington Fine Properties (WFP) in 1999, after leaving Sotheby's International Realty Tom elected to move to Washington and join his three partners at WFP. Since then he has served as President of the Firm. Tom is hands-on within the organization, working daily with the agents on their business development, as well as serving as partner to agents in securing and selling the high-end luxury properties, for which the firm is well known. 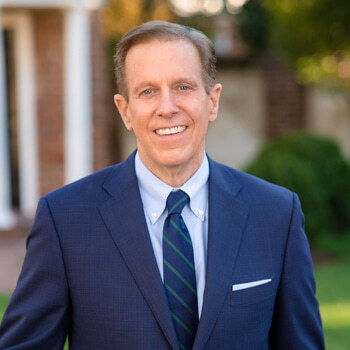 Throughout his career, Tom has achieved some of the most impressive record sales on the East Coast, and received the prestigious Lifetime Achievement Award from Who's Who in Luxury Real Estate in America. Tom prides himself as being approachable, passionate, and is committed to building the most relevant, client-first real estate firm in the Capital Region today.